Recently, NPQ has written a good deal about what it looks like when the values that nonprofits espouse are not lived out in an institution’s management values. One major example comes via the workforce justice issues built in to a number of nonprofit fields. Low pay, erratic hours, and a lack of training and benefits conspire in some fields to produce a workforce largely made up of women and people of color who must depend upon public benefits to scrape by. All of this is accompanied by public expressions of providing care for the vulnerable. But this calls an even larger question: Should a nonprofit’s mission guide its internal practices the same way it guides the organization’s impact on its community? Further, is a nonprofit successfully fulfilling its mission if doing so is at the expense of its employees and contractors? In late March, the Institute of Contemporary Art at the University of Pennsylvania (ICA) became the first museum to be certified by Working Artists and the Greater Economy (WAGE), a New York-based activist organization devoted to establishing sustainable economic relationships between artists and the institutions that contract their labor. WAGE developed a sliding scale to determine fair artist fees based on an institution’s projected total annual operating expenses (TAOE) for the fiscal year. 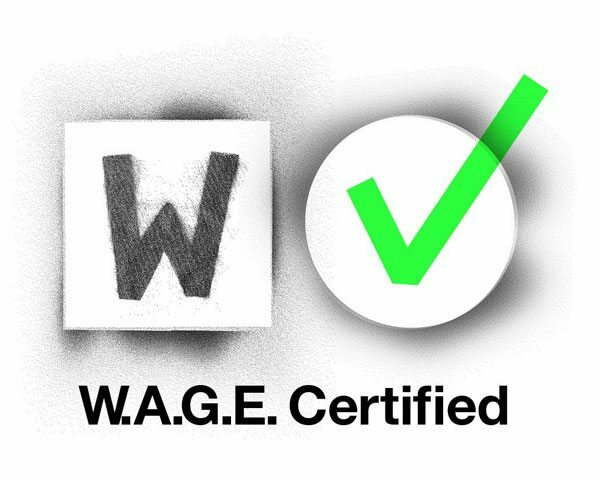 WAGE certification is granted to an institution once it has presented proof that it paid all necessary artistic laborers according to the appropriate fee structure. ICA’s step towards self-regulation is perhaps an indication of long overdue changes shaking up the nonprofit industry. It is important to note the accompanying—and perhaps conflicting—missions of ICA and the University of Pennsylvania. On one hand, the ICA would ideally keep costs low in order to expand its reach, but the University of Pennsylvania would ideally foster an environment that educates its art students to negotiate and expect fair compensation. ICA director Amy Sadao addressed how the institution decided to systemically value its artists as much as its patrons by explaining that they “will have to make choices about maybe doing less so that everyone gets paid equitably.” According to Sadao, WAGE certification is “easily achievable” for other organizations to institute, and she hopes others will follow in the ICA’s footsteps. WAGE makes it particularly easy for nonprofits to enter their financial information into the WAGE website and see a breakdown of WAGE-approved fee structures. Such research is incredibly valuable to a board considering the benefits of WAGE certification. We work to be conscious of the narratives that shape our visitors’ views of history and their place in the world as well as our own, and we seek out and promote perspectives that expand the stories we tell.…As a public, civic institution we believe it is our mandate to contribute to the advancement of society with a commitment to true connectedness and diversity. However, recently the museum has come under fire for hiring two white curators for their exhibit on African art. While it is certainly possible for white academics to competently curate an exhibit with African pieces, a cultural institution like the Brooklyn Museum has other factors to consider beyond competency. First, the institution missed a key chance to employ historians and curators of color who provide visibility to younger generations of people of color (POC) who may otherwise feel that there is not a place for them in cultural institutions as anything more than exhibit content. Such is the kind of “narrative” that the Brooklyn Museum claims to be conscious of in its values. Second, there is an inherent disconnect between any white person and the POC experience, therefore creating a precarious dichotomy in which white academics get paid to be expert spectators in POC culture. We find that in this decision, The Brooklyn Museum neglected to emphasize “true connectedness and diversity” in its hiring practices. Chelsea M. Reichert is a Newswire Writer for Nonprofit Quarterly and a museum administrator in New York City. As a proven leader in the nonprofit industry, Chelsea has a passion for making businesses run with impact, efficiency and integrity. As a (proud) millennial, Chelsea is particularly interested in understanding best practices for millennial reach, growth and retention in the workforce. With an educational background in Oppressive Social Systems in U.S. History, Chelsea believes in enforcing and enhancing a nonprofit's role in contributing to the greater good.